You ever have one of those weeks? You know, where you just get unexpectedly hit with…well, with a whole lot crap? The week started off well. The Monday after a holiday break is never easy, but the Monday after an extended holiday break is brutal. Only, for me, this year, it wasn’t. I got up at 6 a.m. I wrote for 90 minutes. I almost hit my daily writing goal (was maybe 100 words short). I got dressed for work, went into the office, and killed it. Stayed 30 minutes late to finish up a few things, then headed home, where I made zucchini soup and a tuna and white bean salad for dinner. I also made some “nutrient-dense” muffins for the rest of the week’s breakfasts. Logged a little time with the husband, watched an episode of Doctor Who on Netflix, and then logged another twenty minutes or so of writing time, during which I beat my daily goal by 51 words. Afterward, I packed our lunches for the next day and nabbed a little more cuddle time with Joe before getting to bed at a decent hour. Meanwhile, there was all of this Drama (capital “D” intended) with the tow guy that the state cops called to move our car out of a busy travel lane. 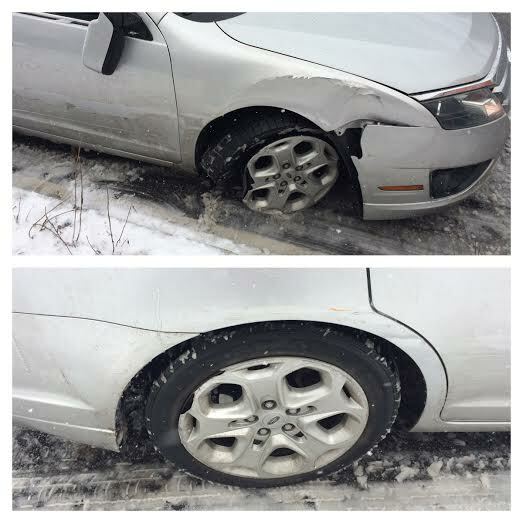 I won’t bore you with the details but they took our smashed-up Fusion to a collision center in Chester, instead of the awesome Brandywine Body Shop (which is less than a mile from our house). And how the tow guy took off with our car but left us stranded on the side of the road, in the snow, and how we had to wait for over an hour for our rescue ride. There were phone calls to AAA and State Farm and the Chester collision shop and our body shop and a million other people. There were problems with the rental car from Hertz, not the least of which included starting the car only to discover the low tire pressure warning light, calling the front desk to ask them to fix it, them telling me they couldn’t, and us having to seek assistance from a rival rental company’s techs across the lot. Oh, yeah, that was a banner day, I tell you what. But it really SHOULD have been a banner day, since Tuesday was when my new book, You First, was officially published. My first tween novel! My first novel period in five and a half years! These arrived on Thursday. I literally squeed! Wednesday was all about digging myself out from the hole I fell into with Tuesday’s shenanigans. Thursday was all about meetings – so many meetings, one right after another, my LEAST favorite kind of work day. It was topped off with the discovery that there was blood in my dog’s urine. I’m not ashamed to admit that I cried. A lot. And then chased this crying with a viewing of Parenthood, which made me cry even harder. This morning, I called the vet first thing. They could see Scout. Did a clean urine catch with some Tupperware that is headed for the recycling bin. Drove him over to the vet’s office at 8 a.m. Came home to work. Around 10:30, got a call from the vet’s office pointing out that Scout is scheduled for a dental cleaning on Monday, and did I want them to do it today? Sure, I say. Let’s knock it out. At 3:30, I can’t take it anymore; I call the vet for an update. They still haven’t done the cleaning OR run the urinalysis. Great. More anxiety. Call the body shop for an update on my car. It’s still in Chester. They got the collision center to release it but asked State Farm to get it towed. State Farm didn’t. Get a call from State Farm. They chastise me for not returning “several calls.” I check my cell. There is exactly ONE missed call from 1:39 p.m. yesterday. When is this week going to end? Not before there is more lecturing from State Farm. It’s interrupted by a call from the vet telling me that she wants to do some radiography on the dog. Great, do whatever you have to do, this dog is everything to me. He has to be healthy. HAS TO. I cannot deal with one more thing going wrong this week. I really can’t. At 5:02, I call the vet again. Earlier I was told the doctor needed to leave at 5. I’m worried that there have been no updates. They’re still working on Scout, the front desk chick tells me. This can’t be good, I think. At 5:12, the vet calls. I was right. The news isn’t good. Scout has two sizable bladder stones. They should be removed as soon as possible. By a specialist. I ask questions. A lot of questions. I’m supposed to be leaving town on Thursday, for Wendy’s and my annual birthday trip. I’ll be back on the 18th. Can I get the surgery done on the 19th? Risky, the vet says. If the stones get much bigger, Scout’s body might try to pass them. This could mean a blockage. Will someone be home with him 24/7? Emergency surgery it is. EXPENSIVE emergency surgery. The first specialist center I call tells me my best bet is to bring him in tonight. He’ll hang out in a crate until someone is available to do the surgery. Since he’s stable, he’d be at the bottom of the triage list. The cost? Between $3,000 and $3,500. I call the second specialist center. They have zero openings between now and Monday. They tell me to call UPenn. UPenn can’t even schedule an appointment until Monday. If I bring him in for an eval and his situation is deemed urgent enough, they’ll call in an emergency staff. That costs money. LOTS of money. The first specialist center it is! Joe gets home from work and I fill him in on everything. Then I go over to CareCredit to apply for financing to pay for my dog’s surgery. We’re approved, print out the paperwork, and head over to Banfield to pick up our groggy dog, all so we can deliver him to the next crate at the next vet center, where he’ll wait for someone to cut him open and remove these potentially dangerous bladder stones. In the car, I hold Scout tight and start to cry. I’ve had so much loss in my life these past couple of years – I can’t lose him, too. The bladder stone surgery isn’t high-risk but it will require more anesthesia, and as I said, Scout doesn’t do well on anesthesia to begin with. This is what scares me more than anything. We sign in at the animal ER and are taken back to an exam room. A nurse checks Scout’s vitals. All is well. An hour goes by without seeing a doctor. Bad things happen at the animal ER. A stray that was hit by a car gets brought in. I can see the blood on its white fur. Another dog comes in having had seizures. We hear its owners sobbing. 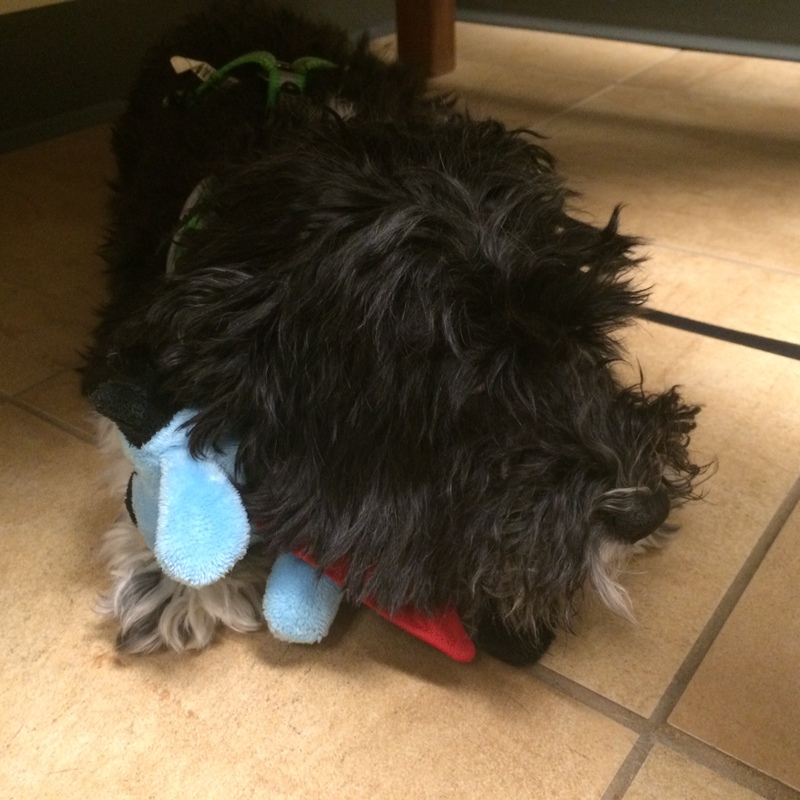 Scout hiding under the bench in the exam room. We’d brought him a toy for the crate wait. Another twenty minutes goes by. Joe and I are both starving. It’s been almost seven hours since I’ve eaten and I’m out of water. There’s a Wawa two minutes down the street. I leave Joe there with Scout and make a quick food run. I am gone at most 15 minutes. But in my absence Dr. Kelly comes to talk to Joe. Scout doesn’t need surgery, she says. The kind of stones he has can be dissolved by the special urinary food that he’s already on. He’s got a UTI, she says, and the UTI might have caused the two stones to form in the first place. Let’s clear up the UTI, do a culture to make sure we’ve diagnosed the right kind of bacteria, and keep an eye on his urine production. Then, in two to three months, we’ll do another round of X-rays to see if the stones have dissolved or not. When Joe tells me this, I’m relieved. But I’m also kind of pissed. I’ve spent the past several hours in blind panic over my dog’s health. Needlessly, it turns out. The doctor returns in another 20 minutes to talk to me. Everything she says contradicts what we were told by Banfield. She wants to do a culture on his bladder, for instance. I say, “Don’t you have to put him under to do that?” She says, “No, not at all.” But Banfield told me that they DO put dogs under for that. Dr. Kelly takes Scout back to get the culture. I feel suddenly exhausted, like I could fall asleep right there on the exam room floor. Scout is discharged a short while later. We go over the instructions with a nurse. He trots out of the emergency vet center and hops into the car looking happy. The mood in the car is infinitely lighter than that of the drive over. We walk in our front door at 9:38 p.m. I feed Scout so I can give him his antibiotic. Then I change into my PJs and prepare for some much-needed couch cuddles with my two favorite men. The new book, part 2: FAQ. I’ve been getting a LOT of questions about You First, my new novel that publishes January 6, 2015. So, I thought I’d take this opportunity to answer some of them. I thought you said YOU were writing a new book. Who is this Cari Simmons person? Excellent question! 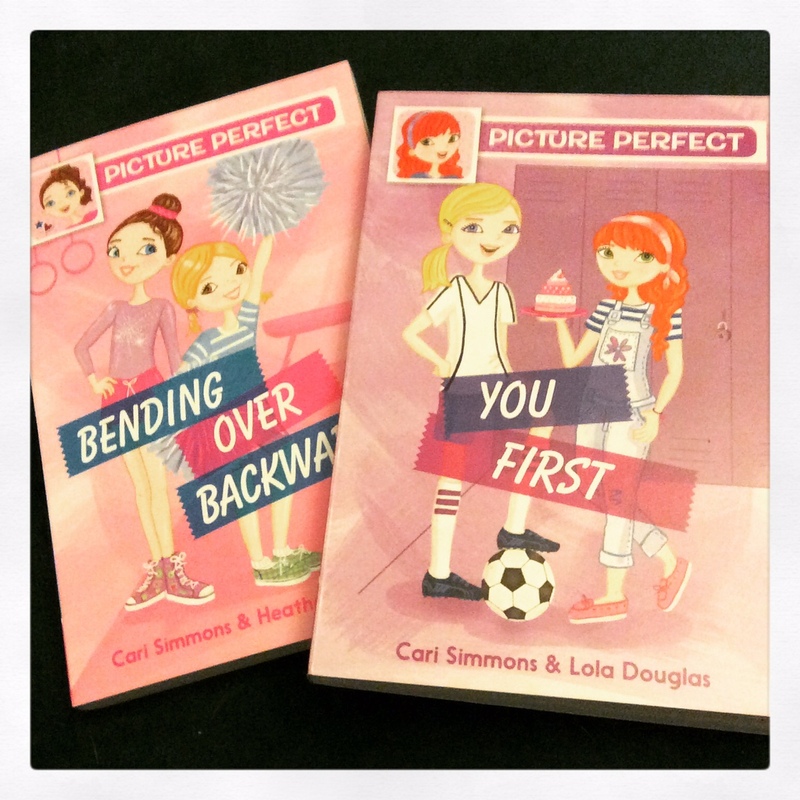 Cari Simmons is the beautiful genius behind the Picture Perfect series. She provided a short synopsis for each title. Then authors were selected to take these ideas and turn them into full-fledged novels. The synopsis for You First was literally 716 words. I took that, made it my own, and turned it into a 42,000-word novel. Wait a minute – your name is Lara (rhymes with mascara), not Lola. So who’s Lola Douglas? Ahh, you must be new around here. Lola Douglas is the pseudonym I used for True Confessions of a Hollywood Starlet and More Confessions of a Hollywood Starlet. My editor, the lovely and talented Kristen Pettit, thought it would be fun to bring Lola out for another spin, so “she” got to write You First. Wasn’t True Confessions of a Hollywood Starlet a Lifetime movie? Yep. It was based on the book. It still airs from time to time. It’s deliciously cheesy and one of the coolest things that happened to me during my short writing career. Speaking of short: Didn’t you, like, “retire” back in 2010? There are a lot of reasons. I wrote about most of them here. So what happened to bring you out of “retirement”? Kristen happened. See, she got out of the children’s book business before I did. Then, in 2013, she decided to get back into it. She sent me a Facebook message saying that we should talk. When we did, she pitched me the project. It had “me” written all over it – set in Delaware! With a protagonist who’s into theater and likes to bake! We talked, and I started to get excited about the idea of diving back into fiction. So I figured I’d give it a shot. Are you writing anything else? Why, yes, I am! I’m working on a wickedly fun YA novel for Kristen. It’s tentatively slated to come out summer 2016. Whatever. Is it another Lola book? No, this one will be published under my married name, Lara Deloza. It will be the first Lara Deloza novel ever! Um…not that I can think of. But let me know if you have any more questions, okay? The new book, part 1: Overview. 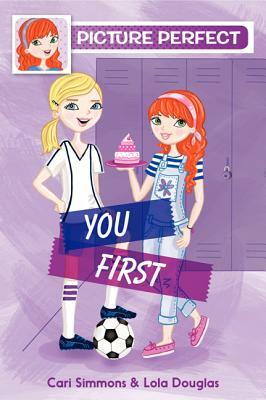 I’d totally planned to write a big ol’ blog post about my new book, You First, which comes out on January 6, 2015. Except, it’s 9:20 p.m. as I sit down to write this and I’ve been go-go-going all day long. What I’m saying is, I am out of steam. So for now, here’s the cover and the flap copy. The backstory will come tomorrow (I promise!). Gigi Stewart and her best friend, Finley, are always together. And everything they do, they document on the Wall, their collage in Gigi’s room that holds layers and layers of memories—from movie tickets to magazine ads to embarrassing baby photos—and they never stop adding to it. But when Gigi suggests they start planning their annual joint birthday blowout, Finn just doesn’t seem that into it. She’s more interested in extra soccer practice and hanging with the girls from the varsity team than choosing a party theme or going to cooking class or sleepovers with Gigi. Though she tells herself it’s no big deal, Gigi can’t help but be hurt. And she’s even more hurt when she discovers that Finn’s been lying about what she’s been doing and who she’s been hanging out with instead of her. Gigi thought she and Finn would be friends forever—but what happens when “forever” comes to an end?